Kelowna, BC – The Canadian Home Builders’ Association of the Central Okanagan (CHBA-CO) announced today the winners of its inaugural Okanagan Housing Awards of Excellence. Formerly known as the Tommie Awards, the Okanagan Housing Awards of Excellence is a continuation of the Tommie Awards and honours the outstanding work done by home builders, designers and renovators in the Central Okanagan. The name change is intended to generate greater customer awareness and to make it easier to identify the significance of the award. The awards were presented at Saturday’s gala event held at the Delta Grand Okanagan Hotel in Kelowna. Photo Caption: Fawdry Homes Ltd. with Project Partner Amber Millwork Ltd. Winner in Showhome $500K & Over and Single Family Home Builder of the Year Small Volume. Over the past 26 years, the CHBA-CO has recognized excellence building design and renovation with the Tommie Awards. 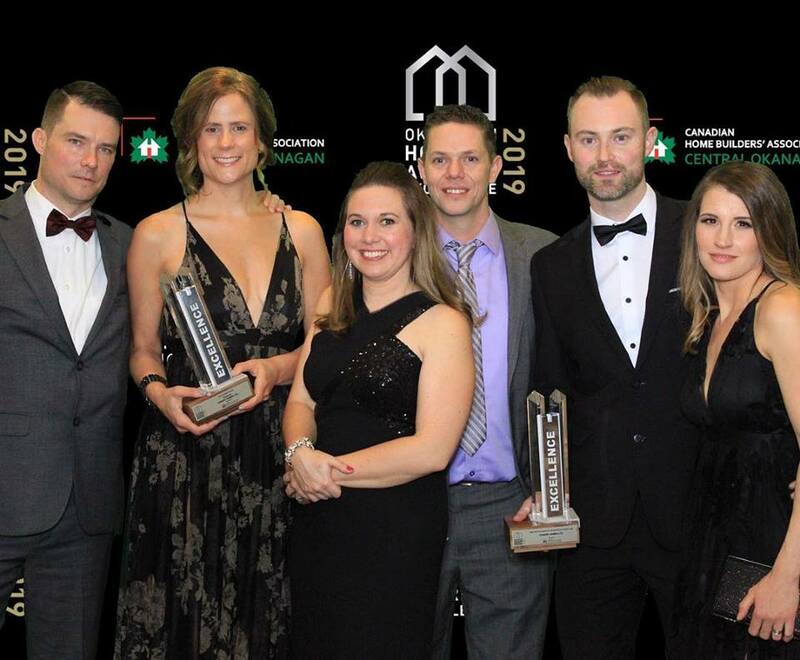 This year, the Tommie’s were renamed the Okanagan Housing Awards of Excellence to help build brand recognition and awareness and will continue to celebrate member’s exceptional achievements and recognizing their excellence in the home building industry. To access the CHBA-CO media kit, click here. CHBA-CO is the regional voice of the residential construction industry in the Central Okanagan. It represents more than 250 members and is part of an affiliated network of nine local home building associations located throughout the province. The industry contributes over $23.1 billion in investment value to British Columbia’s economy creating 158,000 jobs in new home construction, renovation, and repair. One in five employees in British Columbia work in the home building industry.